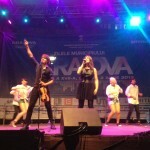 Alexander performs with Paula Seling at a free open-air concert at Piata Mihai Viteazul in Craiova, as a part of the Craiova City Festival, on Sunday, 2 June 2013. New Single “I’ll Show You” on iTunes! He was great! 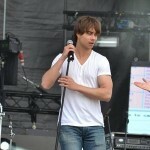 Amazing atmosphere,he came down from stage near us,he sang beautifully…a truly complete artist! I invite you to go to his shows,it’s definitely worth it! Wow!!! we are waiting for you!!! It will be great! 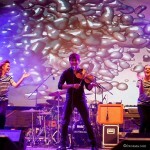 You are coming to Craiova at last! 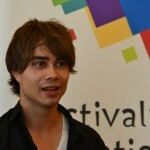 Alexander Rybak and Paula Seling were invited at „Danutz srl” show.Official facebook page Alexander Rybak https://www.facebook.com/alexanderryb… Official facebook page TRR https://www.facebook.com/pages/Team-R… Fii la curent cu ultimele noutăți despre Alexander Rybak pe http://www.teamrybakromania.ro.